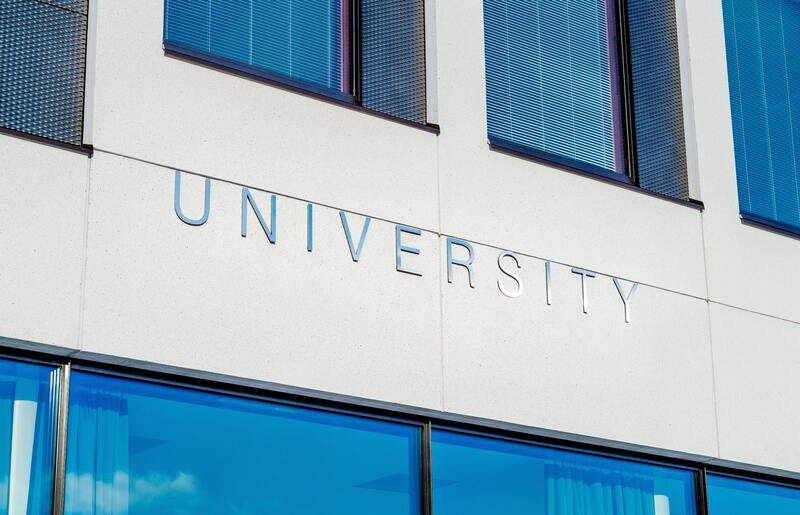 College and university classrooms and libraries are home to some of the latest and most advanced technology, but many schools are just beginning to take the first steps toward fully integrating technology throughout campus. 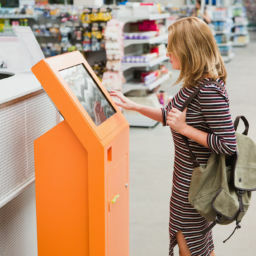 Digital kiosks and signage are a great place to start, as they incorporate the technology that students, professors, and visitors already use in other aspects of their everyday life to simplify their on-campus experience. 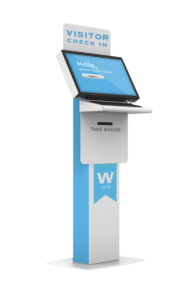 Meridian’s higher education kiosks have the capabilities to help students and campus visitors navigate the campus and surrounding areas, check-in for a tour or appointment, pay tuition, and find information. 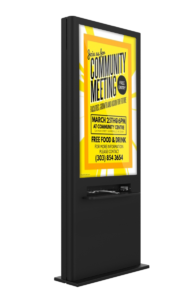 Digital kiosks are also able to advertise for school-sponsored clubs and organizations, upcoming events, or local restaurants and businesses. 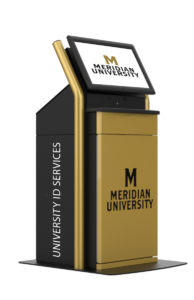 Meridian’s higher education kiosks increase efficiency by streamlining the check-in, tuition payment, and student ID acquisition processes. 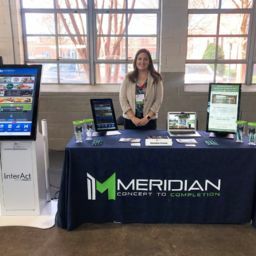 Meridian’s higher education kiosks improve the on-campus experience by streamlining processes and providing up-to-date information and wayfinding solutions for students, faculty, and guests across campus. 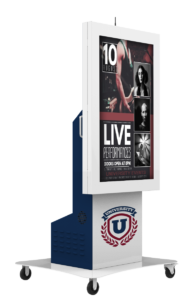 Meridian’s higher education kiosks enable local businesses and on-campus organizations to promote events, attractions, and offerings by displaying interactive information. Meridian’s tuition and bill payment kiosks allow students to make payments with cash, check, credit, or debit card at their own convenience. The solutions are both secure and user friendly, allowing them to be placed in common areas, such as student unions, dining halls, and administration buildings, where students have 24/7 access. Meridian’s banner ID and card printing kiosks are a convenient way for students to access their student information and receive new Student ID cards. This solution is both convenient and time-saving, allowing students to receive their new cards as they need them, on their own schedule. 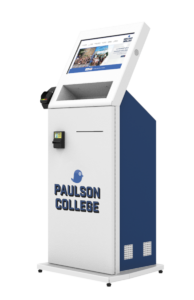 Meridian’s battery-powered kiosk models feature two 12-volt lithium batteries and a caster kit, so the kiosk solution can be moved throughout campus with ease, when necessary. 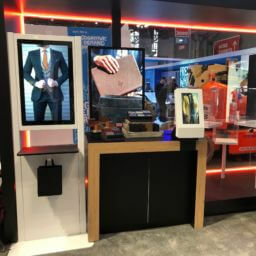 The solution can be used for temporary signage and information sharing at events or in emergency situations where mobility and flexibility are essential. Meridian’s interactive digital signage solutions can be placed strategically throughout campuses in central locations. These solutions can serve as a central hub for information on events, organizations, clubs, and even advertisements for local businesses. 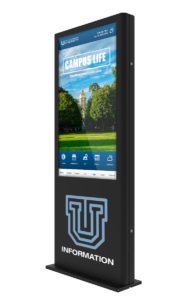 They can also provide wayfinding guidance for navigating campus. Meridian’s check-in solution kiosks allow visitors and students to bypass the traditional check-in process at the administration desk. 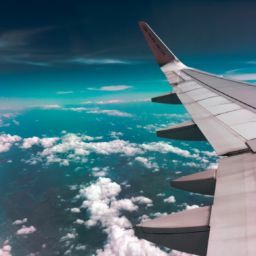 Students and visitors, alike, are able to check-in, confirm information, and electronically sign documents—saving them time. Students and visitors can also use the solution to navigate the building and find the office they’re looking for. Meridian’s device charging kiosks are perfect for common areas. Students and campus visitors are given the option to charge multiple devices at once. The kiosks also feature large displays, perfect for advertising and information sharing throughout campus. Florida International University teamed with Meridian to develop a self-service solution to expedite the payment process for its students. Meridian leveraged its proprietary transactional software and G6 Plus kiosk model to create a self-pay service for FIU students.